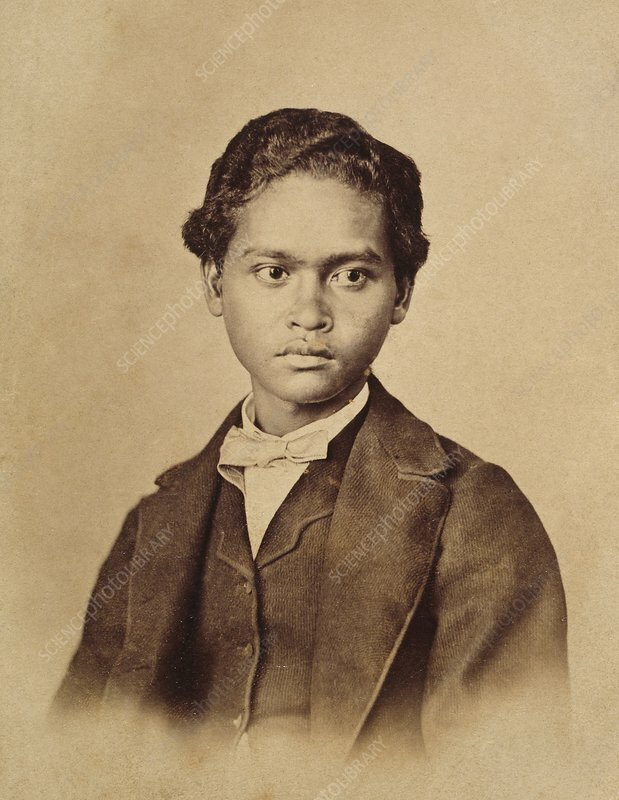 Ali, Alfred Russel Wallace's Malay Boy. The British naturalist Alfred Wallace (1823-1913) organised expeditions to the Amazon and Malaysia and was the first European to see orang-utans in the wild. Wallace collected many specimens and founded the study of the geographical distribution of animals (biogeography). He formulated (independent of Charles Darwin) the theory of natural selection as a mechanism for the origin of species. He and Darwin presented their results in a joint paper in 1858 before the Linnean Society. Photograph from the Wallace collection in the General Library at the Natural History Museum, London, UK.